There’s nothing better than taking your Jeep out into the woods with the goal of finding the muddiest puddle or the biggest jump. These trips usually go off without a hitch — but occasionally I find myself stuck without the one thing I need to fix a problem or get me out of a hole. 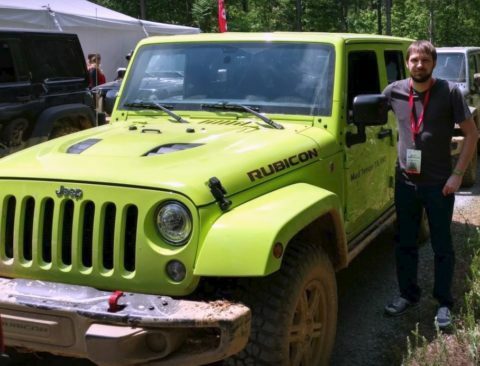 With that in mind (so you can hopefully avoid some mistakes that I’ve made when taking my Jeep off road), here’s a list of 7 off road accessories that you should always have in your Jeep. When you buy your Jeep, spring for a full-sized spare tire. A donut might be okay to get you back to the shop if you get a flat while you’re on the road, but it isn’t going to cut it if you’re off road and stuck with a flat. I found this out the hard way when I ended up with a flat tire after running over a nail in the woods. We swapped the tire out for the donut — because that’s all we had handy. And we promptly flattened the donut on the trail trying to get back to the road. We ended up having to call for a tow to get us back to the tire shop. As soon as we were done, I tossed the donut and replaced it with a full-size spare tire. Staying hydrated is just as important for you as it is for your Jeep. Stock up on water. And if you have an extra tank, fill one with pre-mixed antifreeze — in case you pop a hose while you’re on the trail. You can fix a hole in a hose with duct tape (at least for the short term), but that won’t help you if you don’t have anything left to fill the radiator with. Whatever you do, don’t pee in the antifreeze. It will not end well — but that’s a story for another time. If you go out alone and get stuck, it might be awhile before someone can get to you. I used to go out into the woods without much in the way of supplies. One time, I lost the trail for a little while. I found it eventually, but I was a little freaked out for a short time. I realized then what could have happened if I hadn’t found my way again. 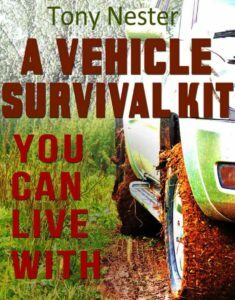 As soon as I got back to civilization, I added a survival kit to my Jeep off road accessories. Stock your kit with everything you’d need to survive in the wild — including rope, fire starters, signal mirrors, and even a survival handbook. You should also have a first aid kit in your Jeep too. Even if you never need it, it’s always better to have it in case of an injury. Keeping the Jeep lights on might lead to you finding yourself stuck with a dead battery on the side of the trail. If you choose to go with a jumper box, make sure to get one large enough to start your Jeep and keep the battery charged when you’re not out on the trail. There are tons of off road repairs that you can complete with just a handful of simple tools. Depending on the vehicle, you only need an 8mm or 10mm wrench to change the battery, for example. Keeping basic hand tools in your Jeep can mean the difference between needing a tow and being able to get back on the trail. All you really need is a socket set, a screwdriver with changeable bits, and of course a few rolls of duct tape. A small rubber mallet and a hacksaw might also be useful — depending on the terrain where you’re driving. When you’re hauling tailpipe down the trail, the last thing you’re worried about is that little gas gauge on your dash telling you that your Jeep is running out of fuel. However, if you’re one of those people (like me) who gets so into the trail that you’ll even risk of running out of gas — invest in a gas can that you can store in the back of your Jeep! Even if it’s not enough gas to continue driving the trail, it’ll allow you to get to a gas station to fill up before you head back to the trail. This might be classified as ‘on’ your Jeep rather than in it — but you absolutely need a winch if you’re going to be driving off road. It’s even more important if you’re driving alone and don’t have someone to pull you out if you get in trouble. It’s humiliating to get stuck on the trail. I got stuck in the mud once and had to sit for over an hour while I waited for someone to come down the trail and pull me out. 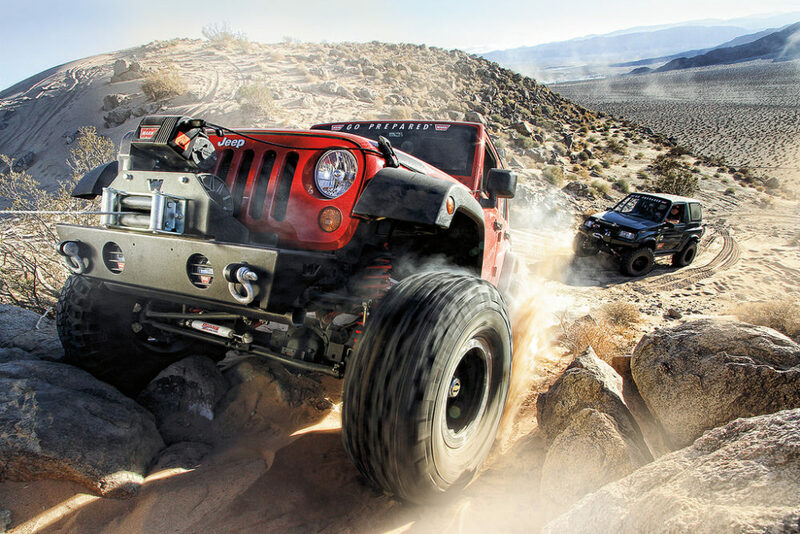 Pick a winch based on the size of your Jeep and the kind of environment you’ll be driving in. If you’re offroading and it downpours, you could get stuck in the mud — and you’ll need something that can pull more weight than your typical winch. Being prepared is the best way to maximize your enjoyment out on the trail. Keep these 7 off road accessories in your Jeep, and you’ll be ready to go at a moment’s notice and you’ll be able to fix anything that the woods can throw at you!